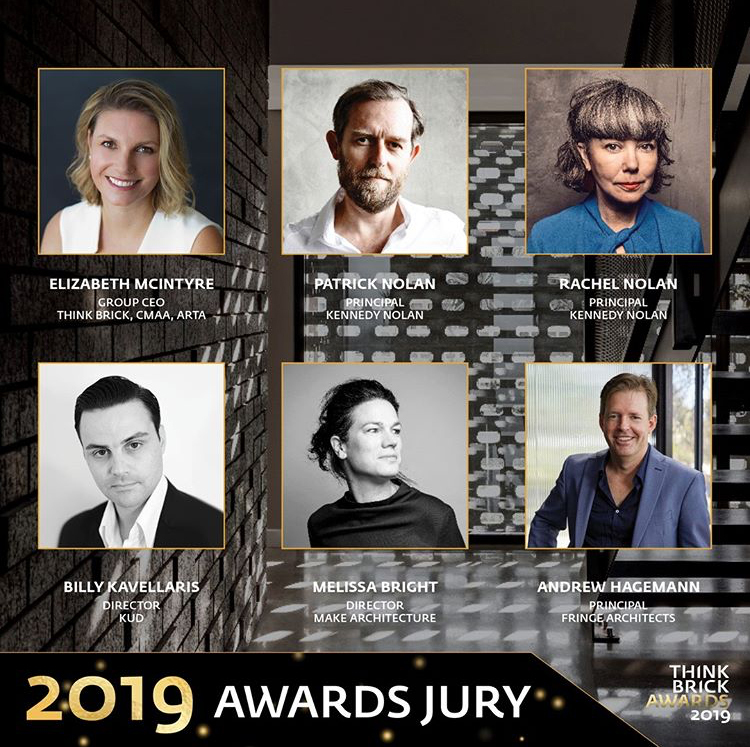 [January 2019] Very excited to be part of the Jury for the 2019 Think Brick Awards, along with the talented peeps from Kennedy Nolan, Make Architecture, Kavellaris Urban Design and Think Brick Australia’s Group CEO Elizabeth McIntyre. Looking forward to heading east to Sydney in May to no doubt view an amazing range of projects that feature brickwork, blockwork, tiles and pavers. Click on the image to read the full judges bios. [January 2019] Delighted to start 2019 off with a full page spread as part of the Meet the Architect Feature in The West Australian New Homes section. Sandy Anghie Architect is the author, architect and recent mother. Sandy has been writing a wonderful series of articles on Local West Australian Architects and their practices, so considering how busy she must be we can’t thank her enough for including us in her first article for 2019. The article showcases our Concrete House (New Residential) and Trellis House (Alteration and Addition) as well as providing insight into how we work with our clients. [August 2018] Our Brickworks Mixed Use Building and Office fitout for Rauland Australia in Shenton Park Western Australia has been shortlisted in the Workplace Under 1000sqm Category. Again this modest project finds itself in good company with some of the leading lights in Australian Design including Carr, Woods Bagot, Chenchow Little, Architects EAT, Russell & George; as well as large International Design Studios such a Gensler. We're delighted as always to be considered in such company. Looking forward to the awards ceremony in November 2018. [December 2017] Our Concrete House in Wembley Western Australia has been voted one of Archilover's best projects for 2017. We've been delighted with the extent of awards that this project has had success in, we believe it's attributable to the strong contextually responsive design and the client's wonderful brief. The creative freedom we received at the start of the project no doubt led to the project's unified form and responsiveness to environment, family development and it's place in the local community. We look forward to realising more of these types of houses in the future, with several new projects starting construction that continue the ideology and initiatives first developed in this house [AH]. [August 2016] Concrete House in Wembley Western Australia initially was shortlisted in the Sustainability and Single Residential Categories. To our surprise it received a Highly Commended award in the Sustainability Category with some notable Australian design practices, which included Robin Boyd Award winner Indigo Slam by Smart Design Studio, Six Degrees Architects, Geyer, McBride Charles Ryan and Foolscap Studio. We feel very proud that this project was considered for the Commendation in such revered company. Thanks must go out to the sponsors INSTYLE and Niche Media [AH]. [August 2015] Concrete House featured in Think Brick Awards 2015 Booklet. Great to shortlisted in the Kevin Borland Masonry Award with Australian practices M3 Architecture, Taylor + Hinds and Make Architecture. Thanks to sponsors Concrete Masonry Association of Australia + Think Brick Australia [AH]. [July 2015] It's been a big year for this family house located in Wembley,Western Australia. Concrete House has been shortlisted in the Houses Awards in the New Housing Over 200 sqm category and also a Finalist in the Kevin Borland Masonry Award in the Think Brick Australia Awards. Looking forward to the Awards Ceremonies in Melbourne [AH].